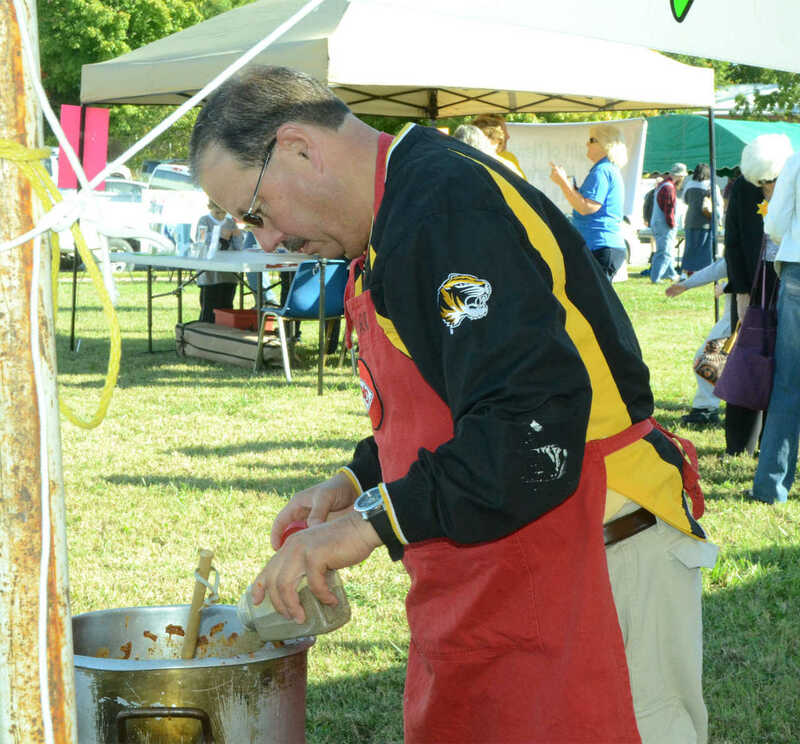 Mark Mendenhall pours in seasonings for his chili in the Chili Cookoff at Oktoberfest on Saturday. 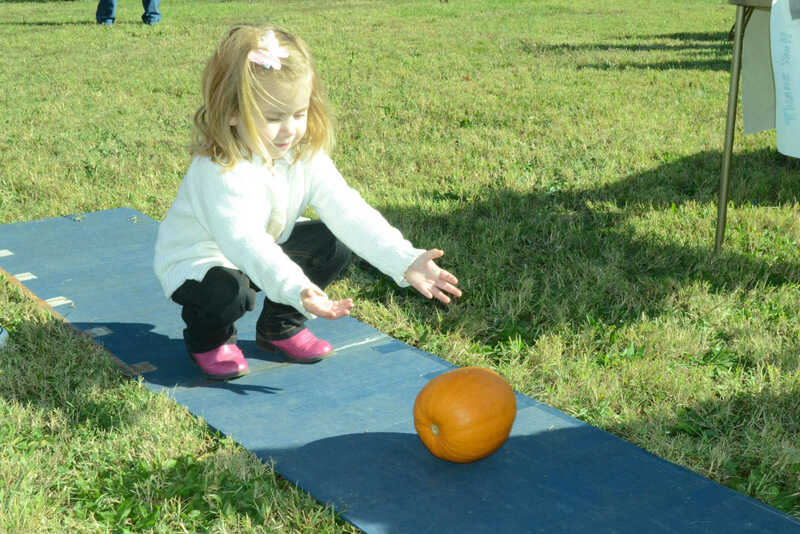 Adelaide West rolls a pumpkin in a bowling game at Oktoberfest on Saturday. 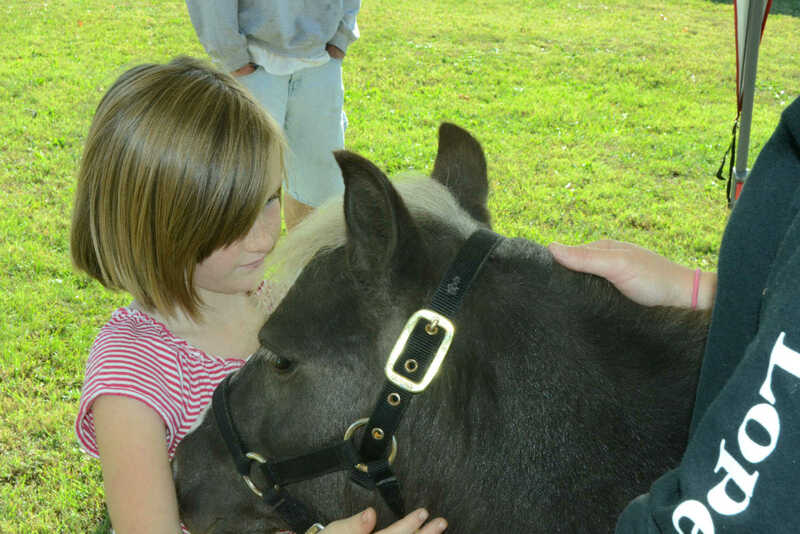 Lexi Taylor pets miniture horse Junebug at Oktoberfest on Saturday. 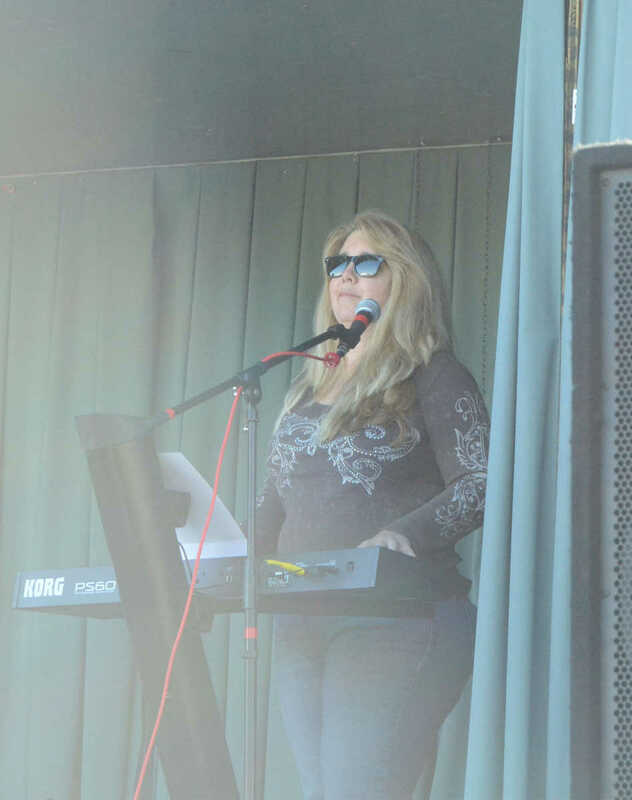 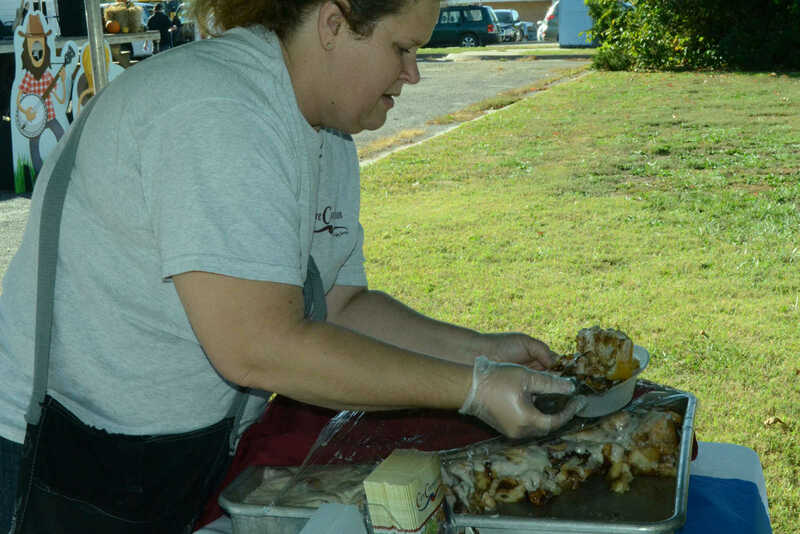 Amy Teems dishes out cinnamon rolls at Oktoberfest on Saturday.